The second annual The Maritime Tanker Conference will take place on Tuesday 24th October 2017 at the Grosvenor House Hotel in Dubai. The event is expected to attract over 150 top executives from across the regional tanker business, as well as global participants. A high level group of expert speakers and panelists is being assembled by The Maritime Standard, and will include representatives from leading tanker owners and managers, port operators, trade organisations, brokers and analysts, law firms, financiers and technology providers. The event has also secured sponsorship support from a number of high profile maritime companies and organisations, including. Kuwait Oil Tanker Company, DNV GL, Bahri and International Shipping and Logistics. Supporting Associations for the event include: Dubai Council for Marine and Maritime Industries (DCMMI), UAE Shipping Association (UAESA), Organisation of the Islamic Shipowners Association (OISA), Indian National Shipowners’ Association (INSA), Women’s International Shipping & Trading Association (WISTA), Ceylon Association of Ship Agents (CASA), Pakistan Ship’s Agents Association (PSAA), Conqueror Freight Network, Globalia Logistics Network, Mission to seafarers, Specialist Freight Network, The Cooperative Logistics Network World Freight Network. 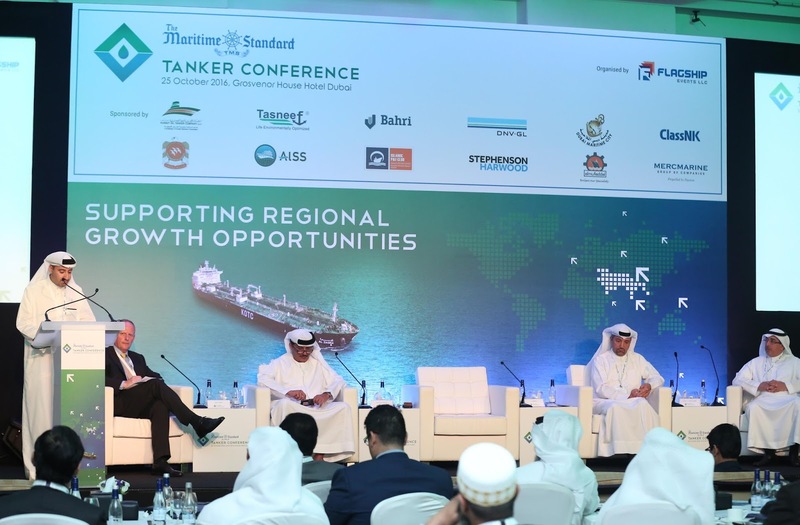 The one day Conference will focus on the challenges and opportunities that remain open to the tanker sector in the Middle East and the Indian Subcontinent today. Speakers and panelists will assess global and regional economic and trade trends that will affect the movement of crude oil, products and petrochemicals. After key note speakers, individual sessions will highlight key issues, and solutions, and will assess likely investment patterns in ships and terminal facilities, as well as the development of technology and other support services. Trevor Pereira, managing director of The Maritime Standard says, “The inaugural event in 2016 was such a success that we have decided to return to the same venue and date, the day after The Maritime Standard Awards, to build on what proved to be a successful formula. We will have some big names from the industry speaking and the high quality audience of decision makers and influencers will make this a Conference that will add real value, in terms of information gathering and networking. The Maritime Standard Tanker Conference is certain to generate a high level of interest so I would urge people to book now, as spaces will be strictly limited." A very successful first edition of the TMS UAE Yearbook was published in 2016, covering all the major sectors of the shipping, ports and maritime industry in the UAE. The publication was launched at SMM in Hamburg in September and generated a high level of interest. The in-depth analysis of port, shipping, shipyards, maritime law, classification, regulation and inland transports on, and other topics, was well received by the industry. The TMS UAE Yearbook 2017 will be released in May, following extensive on the ground research and interviews with leading players.